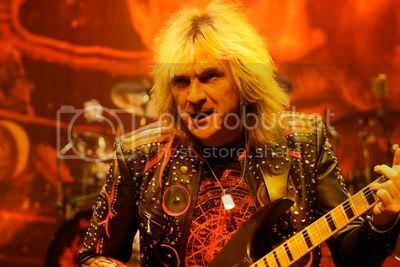 JUDAS PRIEST's Glenn Tipton Talks To BraveWords.com About Epitaph Tour, Chosen Few, K.K. 's Absence And A New Studio Album - "Let's Hope It's A Masterpiece"
BraveWords.com: Is there an air of sadness knowing that you may not see some of these faces again? Tipton: "Yeah, there is. We've had such incredible reaction on this tour that it's very emotional and you know that part of it is that we'll never be able to give it up really. But all things have rot come to an end. But we've said this is our last world tour. We haven't ruled out doing a string of dates if they made sense at some point in the future. And we certainly, I'm sure, will do at least one more album. It's not the end of the band but there is a twinge of sadness. But when we eventually hang out hats up there will be a big part of our lives missing." BraveWords.com: We've had a long history of dealings with the mighty Priest and we knew deep down that this probably wouldn't be the band's final hour on the road. Tipton: "We are enjoying every second on stage at the moment and as long as you do enjoy the performance it's the best reason in the world to keep on doing it for the fans. As soon as it starts to become a chore on stage, that's the time to give up. We're having a great time every night." 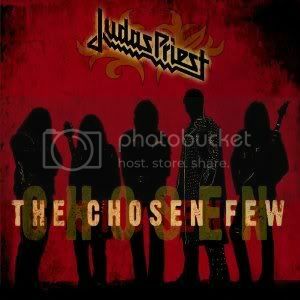 BraveWords.com: And speaking of fans, there are a few that can be found on your new compilation, The Chosen Few, including OZZY OSBOURNE, METALLICA's James Hetfield, ALICE COOPER, MOTÖRHEAD's Lemmy Kilmister, SLAYER's Kerry King, DEF LEPPARD's Joe Elliott, SLASH and many more. The collector rises above another dreaded hits package it seems and the idea is kinda unique. Tipton: "Yes, we talked to the record company about it and the last thing we want to is keep pawning off compilation albums onto our fans. We've always deterred the record company from actually doing that. We both felt that it was pretty unique and a very interesting concept to get some of our peers, some people that we have great respect for. Some great musicians, some great talent. Just good friends throughout the years that have come up with their favourite Priest track and their comment why." BraveWords.com: Was there any track/comment that surprised you? Tipton: "Not really, because everybody has got their own favourite Priest song. You might expect some of the people to like some of the harder tracks like 'Painkiller', and may expect some people to like a softer track. At the end of the day it's a personal choice and Priest means different things to everybody. Certain Priest songs remind you of a certain time in your life or a certain period. It may have been a sad period where a Priest track helped get you through or it may have been a happy time and Priest tracks remind you of those. There's no surprises really. I've given up being surprised by what people want from Priest in terms of a set list as well. There's always a difficulty in picking a set-list where you leave certain people's favourite tracks out. We can't every song we've written." BraveWords.com: I must tell you a Wacken tale speaking of chosen Priest classics. 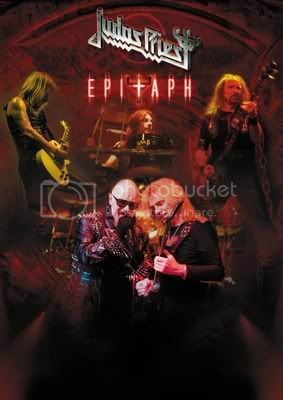 I witnessed the Epitaph set at Wacken in Germany this past summer and I amazed to see the response to 'Turbo Lover' in 2011! The Turbo album was quite controversial following the power of Defenders Of The Faith and some of us thought that you had lost the faith and traded it in for lipstick and hairspray! But to be in the middle of a 100,000-strong sing-along to 'Turbo Lover' was quite bewildering and it was virtually the peak of the night! Tipton: "I know exactly what you are saying Tim. When we recorded the Turbo album we came under fire a little bit. There was a certain amount of criticism. It was a little bit different with the synthesized guitars. We heard 'oh you can't use synthesized guitars with heavy metal.' We never adhered to any rules, we just did what we like. And probably, ione of the most powerful songs that we do is 'Turbo Lover'. It's contradictory in a sense and that's why we've always been willing to experiment because at the end of the day things change and our live performance version of songs are different anyway. I know what you mean, that whole arena sing-along with 'Turbo Lover' is one of the favourites. But I've always loved it … and I've always been a turbo lover!" 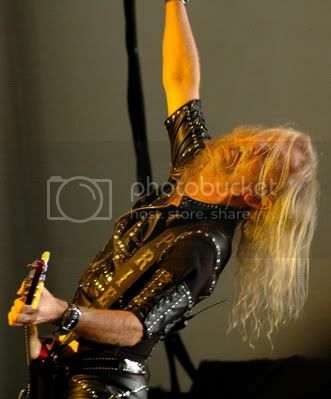 BraveWords.com: Another quite remarkable fact is was the presence of Richie Faulkner. He walked around with ease and it just seemed like nothing happened following the parting of the ways with K.K. Tipton: "It's the most amazing thing about Richie … when K.K. left - it was last November when he told us - we were pretty much devastated. We didn't do anything for at least three months in case he changed his mind, but he was quite adamant. In all honesty, I didn't think we'd find anybody to replace Ken at all. We put the feelers out and we found Richie. As I said in many interviews, he just never cases to amaze me the way he blended straight into the band. He's such a talented guitar player. What he plays with us just scratches the surface of what he's capable of doing. And that's why, he's got such a cushion of talent there. He just naturally blended in and captured the essence of Priest. He still does his own little things. There subtle but they work. If it wasn't for Richie I'm sure we wouldn't be out now. The band would've retired." BraveWords.com: Are you still on good terms with K.K? Has he made any remarks about Richie? Tipton: "Nobody has had much contact with K.K. since he left. One of his wishes - and I understand why - was that we don't try to persuade him or talk him back into the band. He obviously made a very difficult decision and he must've thought about it a long time. I can see his point. We respect his decision and we've respected his decision." BraveWords.com: K.K. 's departure must have been difficult on you personally and as a musician given that you virtually helped spawn the twin-axe attack and were thought to be inseparable. Besides, the Halford/Tipton/Downing credit is stamped over an immense amount of Priest material. Did it break your heart? Tipton: "It was shocking more than anything else. And as I say, we did nothing for a few months. And I thought it was probably time to retire." BraveWords.com: Or to continue your solo career. Did that cross your mind at the time? Tipton: "I hadn't really thought it through. When you've been with a band like Priest for forty years, if it looks like the end, you are more devastated than really trying to think about the future in terms of a solo career. But the solo albums I did were done at a point when Priest was inactive. 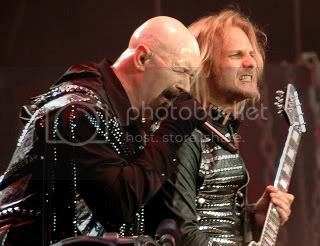 Doing solo albums and working with other people is fun, but my priority has always been Judas Priest and it will always will be." BraveWords.com: Let's talk about your Singles Cuts box. Heavy metal and the CD single is almost foreign concept to fans in North America. Tipton: "It's all the singles that were released in the UK. But as you know, we're not really a singles band as such. We've never been all over the radio. Certainly in Great Britain that's for sure. Although we've had some hits with You've Got Another Thing Comin'', 'Breaking The Law', 'Livin' After Midnight', a lot of these releases may have been a directed to radio, but they were mainly used to premier each album and that was the idea of their release. To showcase the album a little bit and introduce people to the album and hopefully get some radio play from it. But we've never been a singles band. The only thing we can call them is single cuts. There's a really interesting array of songs that show all the different characteristics of Judas Priest. I think it's a really binge collectors piece. We've always tried to make sure that everything we release is worth releasing you know. Does it have a valid reason to be released? Is it a good collector's piece for a Judas Priest fan?" BraveWords.com: And you usually only see singles bands on American Idol. So you must've done something right to have the US put you on one of the most-watched television shows! Tipton: "Our mission has always been to fly the flag for metal and to promote metal. I mean, people underestimate the importance of heavy metal. We'll go to far remote places on the earth like Turkey or Chile and thousands of heavy metal kids will show up. It's a farm of music that's really underestimated. And it really does a lot of good. Everybody forgets their differences and they all have one thing in common and that's the music and in our case it's heavy metal. So when there's a chance to promote heavy metal we certainly wouldn't turn it down. And when you can promote the band, our music hand heavy metal to over 30 million viewers. There's no reason in the world why would refuse. Especially working with James Durbin. He's a total metalhead who believes in it who has stuck to his guns and is a nice guy. So we jumped at the chance." BraveWords.com: So the burning question is, will we see a new Judas Priest studio album? And will Richie be tossed into the mix in terms of writing? Tipton: "Yes, having Richie write is obviously new territory. Me and Rob did some writing in January and February. Our problem at the moment is time. We have such a heavy schedule and we'll need a break before we go back into the studio and carry on writing it. And now we have Richie's involvement. I've already heard some of his ideas which are very Priest-like in a sense; very appropriate, very good. So that's very exciting as well. But our problem is finding some time to sit down and all get in a room and start trying to create the next Priest. And let's hope it's a masterpiece."